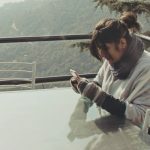 Enveloped with a crowd of condescending netizens, goof ups tends to become a gag on social media followed by jokes, foul words and most of the times, insults. Every year, social media lays a list of new howlers and 2015 was no different. Lonely Planet India v/s Karthik Srinivasan Twitter face-off. 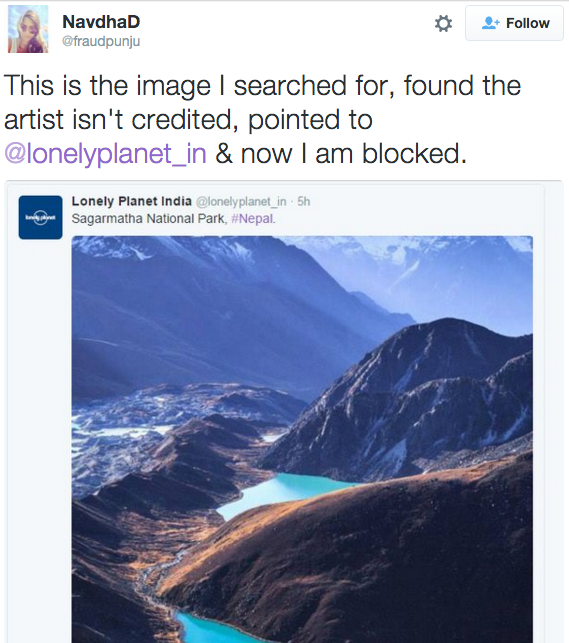 Karthik Srinivasan, the social media and digital marketing professional had a social war with the travel magazine Lonely Planet when the magazine failed to give credit to the artist on one photograph posted on their page surfaced. 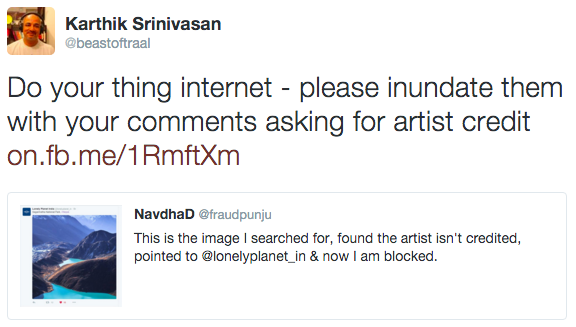 After the brand blocked users who pointed this out, Srinivasan took matters in his hands, and encouraged fellow social media users to push the magazine into giving credits to the artist. 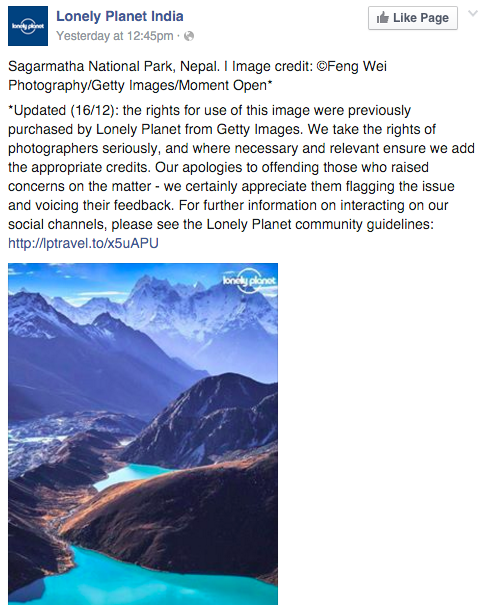 Lonely Planet did not seem to take this well and voiced out heated comments multiple times from personal accounts of the employee handling the social media page of the magazine, making personal remarks. Never the less, the spat got its closure with Lonely Planet mentioning the photographer’s name. 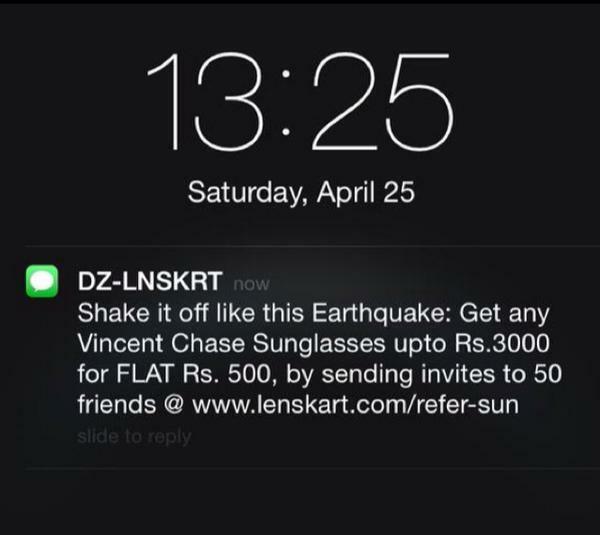 While social media united to express their warm condolences to the shaken up residents of Nepal who fell prey to the earthquake early this year, there was a wave of opportunitic marketing. 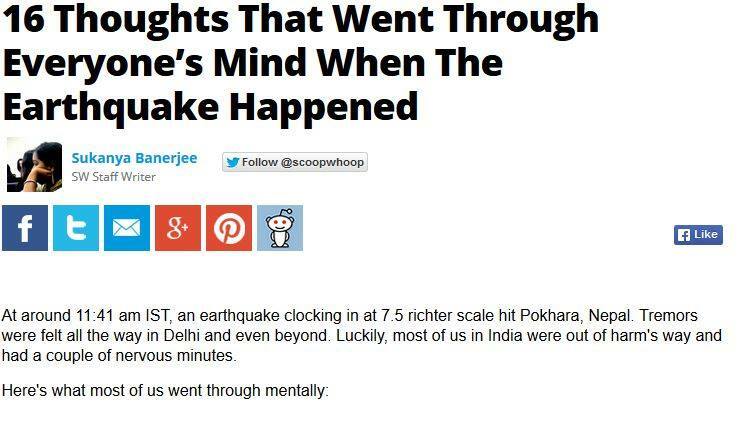 To join the league the listicle lovers, ScoopWhoop were a magnet to negativity for publishing an article titled ‘16 Thoughts That Went Through Everyone’s Mind When The Earthquake Happened’. 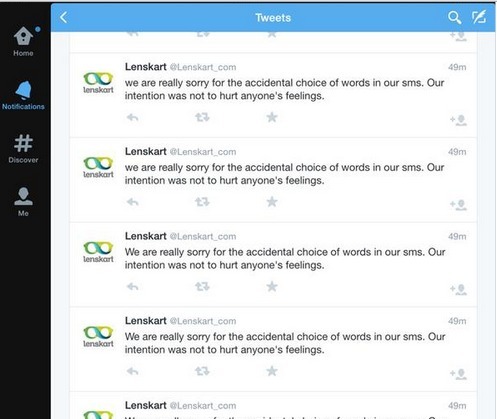 The ill-timed article was looked down upon and faced backlash, in turn the website posted an apology for this unsympathetic blunder saying, ‘Sorry, we messed up’. 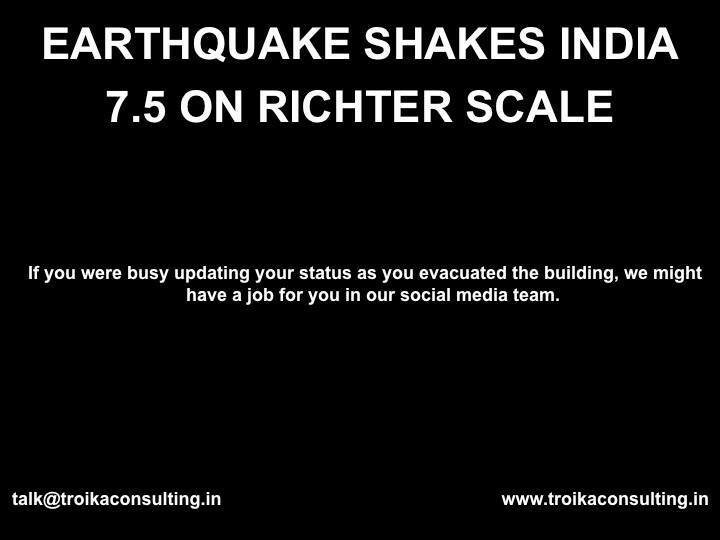 Troika too was guilty of banking on the Nepal earthquake. Social media fiercely condemned the act by tweeting against it with hate messages ridiculing the opportunistic strategy. 6. PM Modi surveillance of Chennai Floods The India Government posted a tailored image of Prime Minister Narendra Modi surveying the flood-struck city of Chennai to get a first hand view. The India Government posted a tailored image of Prime Minister Narendra Modi surveying the flood-struck city of Chennai to get a first-hand view. Netizens could not be fooled as they quickly recognized the edited photograph which was followed by downright mockery. Social media also did rounds of hilarious memes following this photograph. The official Government website later went ahead and took the photograph off the site. Everyone held hands on social media to support the grief struck people of Chennai when it was gushing down with the worst rains. With an aim to exploit its reach, Twitter coined #ChennaiRainsHelp, #ChennaiVolunteer and #ChennaiRescue, trying to encapsulate the aiding process with these hashtags. But news organisation CNN-IBN misused the trending hashtag to gain traffic on their news coverage deviating from the prime purpose. But, news organisation CNN-IBN misused the trending hashtag to gain traffic on their news coverage deviating from the prime purpose. Social media can make or break a brand, when viewed with such scrutiny it becomes necessary to watch what you tweet or post. 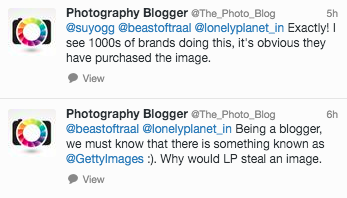 But as they say, any publicity is good publicity so who are we to comment?